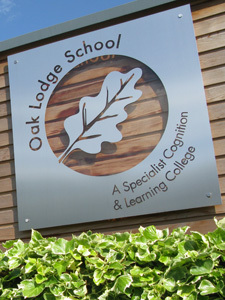 Oak Lodge School is a converter special academy managed by Barnet Special Education Trust. Companies House holds and publishes certain information about the Trust and its officers. Available on this link. This is a Multi-Academy Trust (MAT), currently with one open special academy, Oak Lodge School. A second, The Windmill School, is a special free school approved by the DfE in the 'pre-opening' stage. A site is currently being sought for this project. The three founder members established Barnet Special Education Trust as a company limited by guarantee. The members meet annually and at other times as required with a role to ensure the Trust fulfils its founding principles and to receive the company’s annual report and accounts. They also have responsibility for the appointment of trustees. The Board of Trustees steer the strategic aims of the Trust. They appoint the Chair and community governors of each Local Governing Body, whilst ensuring the election of staff and parent representation for each to keep a general overview of the work of the Trust and its schools. They hold the Executive Headteacher to account and be accountable in turn to the Members, DfE and ESFA for results, finances and management. Retired Finance Director; MediaCom UK, ZenithOptimedia UK, Goodstuff Communications. Steve Palmer November 2016 Communications Manager, Social Care Institute of Excellence. Dr. Laura Crane July 2018 Senior Lecturer and Assistant Director, Centre for Research in Autism Education (CRAE), UCL Institute of Education. Retired senior local government officer. The Trustees establish a Local Governing Body (LGB) for each school in the MAT. A scheme of delegation will affords each member school control of internal budgets, following agreement with Trustees as to the level of commitment to centrally shared resources. The LGB reports to the Trustees and takes a strategic role in the governance of their school to hold the Headteacher and other senior leaders to account in respect of safety and wellbeing, educational standards and achievement of agreed plans and objectives. The Trustees have determined that whilst Oak Lodge, as an academy converter remains the only operational school in the Trust, the committee structure of the previous maintained school will apply. See Local Governing Body page for further detail. The Trust through its Accounting Officer, will ensure that all statutory responsibilities are fully discharged.